::: Are millennials causing nightclubs to become extinct? Are millennials causing nightclubs to become extinct? Written by The Insider Magazine — There’s a massive trend brewing in America’s nightlife scene. The attendance of nightclubs and bars have been on a steady decline for the past several years. Nightclubs left and right are going out of business with several others being threatened to close their doors. There have been massive declines of profit as well as overall revenue. This trend isn’t only exclusive to the United States; the UK has been experiencing a great drop in their once world-renowned nightlife as well. And what is to blame for all of this? Who are these impactful millennials? According to GFK, the global research firm, millennials are people who were born between the years 1977 and 1994. Being between the ages of 21 and 38, they are the target demographic for all club owners and other nightlife vendors. These millennials are very unlike their Generation X parents considering that they are very tech savvy, entered adulthood equipped with cellphones, up to date with social media, and would certainly much rather spend money on experiences rather than material things. Considering such preferences, millennials sound like the ideal group to be regularly enjoying themselves at various nightclubs. If this is the case, why are nightclubs and alike venues suffering massive declines in numbers? Millennials favor experiences over material things and nightclubs should be benefiting from that. Where are these millennials going instead? Are millennials going to nightclubs? Simply put, not really- at least not as frequently as their Generation X parents did at popular disco-techs. Countless studies and observations have shown that millennials are not going to nightclubs the way the former Generation X did. A survey by ULI/Lachman Associates show that only slightly more than 60% of all millennials spend time at nightclubs. Of that 60%, only 25% spend time at nightclubs more than once a month. The millennials who go to nightclubs say they mostly go for special occasions. Bachelor/bachelorette parties, seeing a specific DJ or an attending celebrity, or because they are in party capitals like NYC and Las Vegas serve as the main reasons why millennials venture into nightclubs. Nightclubs do not have a large rate of returning millennial consumers. Nightclub owners are finding it very difficult to keep their doors open when a large number of their clientele only stop by once in a blue moon and penny pinch on their drink orders. It comes to no surprise that an average of 6,500 venues are closing earlier each night and not making it past their first year in business in the United States according to J.C. Diaz, the Executive Director of the Nightlife Association. To add insult to injury, the IBIS World Bar Business & Nightclub Business Industry reports that bar and nightclub revenue fell 9.3% in 2009 following The Great Recession. While other businesses are slowly rising back up from the recession’s higher unemployment rates and lower consumer spending, the nightclub industry isn’t following the trend. The industry is not bouncing back. Why aren’t millennials patronizing night life venues? The last two reasons are especially important. The fact that millennials can go elsewhere to listen to music and the fact that they can’t have a decent conversation with people at nightclubs came up a lot when speaking to millennials. If millennials aren’t going to nightclubs, where are they going? Millennials are noted for picking real experiences over stuff or frivolous spending, so why aren’t they out partying? The same anonymous survey asked millennials what they enjoy doing in their free time inside of going to nightclubs. Responses included boating, binge watching series on Netflix, hiking, biking, traveling, paddle boarding, skiing, kayaking, drinking wine, rooftop bars, guitar, reading, restaurants, bars, movies, concerts, napping, relaxing, reading the news, walking around the city, discovering new restaurants/foods, flywheel, hanging with friends, home improvement projects, happy hours, and beer festivals. Millennials are a generation of adventure-seekers and thrive of the momentum of living for moments. They are a generation of foodies who love venturing into new restaurants and trying new foods. . They’re a generation of foodies who love “discovering” new restaurants, who enjoy finer things in life, but are not bound by them. Traveling to exotic locales ranks among the preferred expenditures of millennials. Do nightclubs have a future in the lives of Millennials? People should be getting a lot more out of their nightclub experience than they previously had. 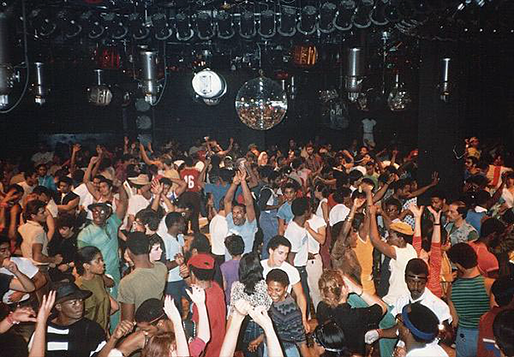 Nightclubs used to be a single room with a dancefloor, DJ, and a few colorful lights beaming back and forth. Catering to the wishes of the millennial demographic who are tech-savvy adventurers, nightclubs now come equipped with LED walls, LED stages, state-of-the-art sound systems, and ground breaking laser lights. They’re offering trendy themes and provide a flair in cocktail making. Millennials have the power to make or break this industry. Millennials realize the notion that their time is a sacred resource. Nightlife venues need to cater to this demographic and make their experience at nightclubs worthwhile.